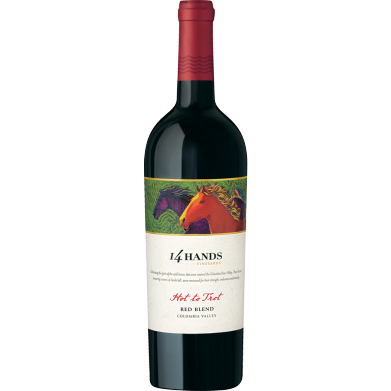 14 HANDS HOT TO TROT RED BLEND for only $10.49 in online liquor store. This polished red wine offers aromas of cherry, red currant and tea. Flavors of ripe berries and dark stone fruits, supported by a frame of refined tannins, give way to subtle notes of baking spice on a persistent finish.